Online Payment Processing - Fortune3 Ecommerce. Ecommerce Integrated with over 50 payment processors worldwide. Fortune3™ Ecommerce software is enabled for processing your shopping cart orders with an online payment system in real time. 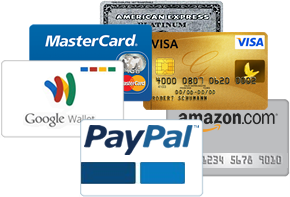 Online buyers can pay you by credit card directly on your Website shopping cart. Whether you already have a payment processor or need one, Fortune3 can get you processing payments quickly! See below for available options. If you already have an Internet Merchant Account and Payment Gateway, we can link it to your Fortune3™ online store and online shopping cart solution for just a $69.95 one-time setup charge. Don't see your processing gateway in the list above? We will integrate the payment system you use for just $399.95!. Looking to Process Online Payments? If you need an Internet Merchant Account and Processing Gateway for your online business, we can provide you with one and link it to your Fortune3™ online store and Ecommerce shopping cart solution.